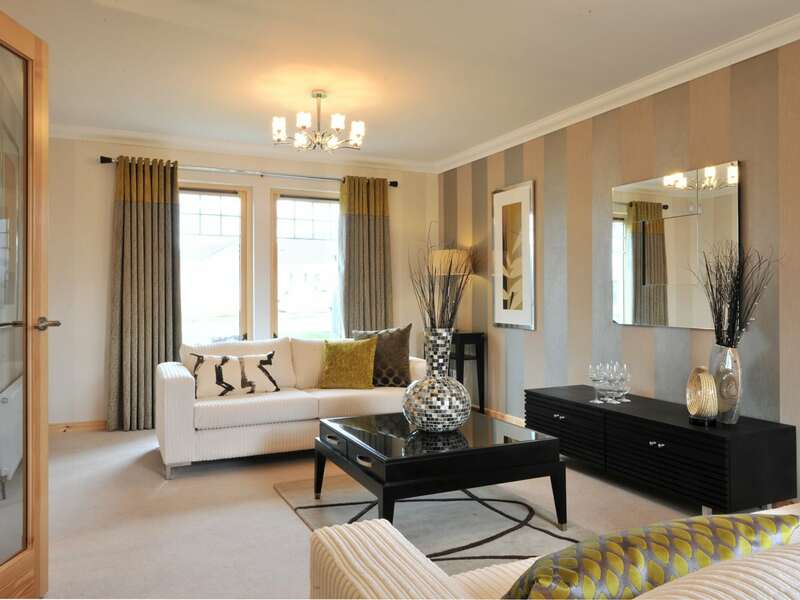 The Lewis is a three-bedroom, end terrace villa ideal for modern families. A spacious open plan living and dining area opens out on to the garden via double doors at the rear. 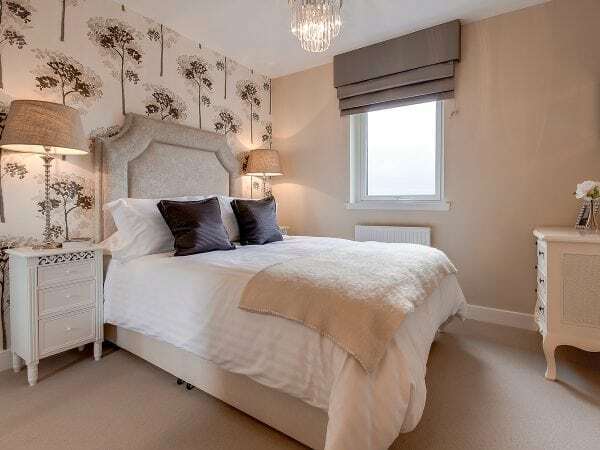 Three generous bedrooms and a sleek family bathroom are situated on the first floor of this beautiful new home. 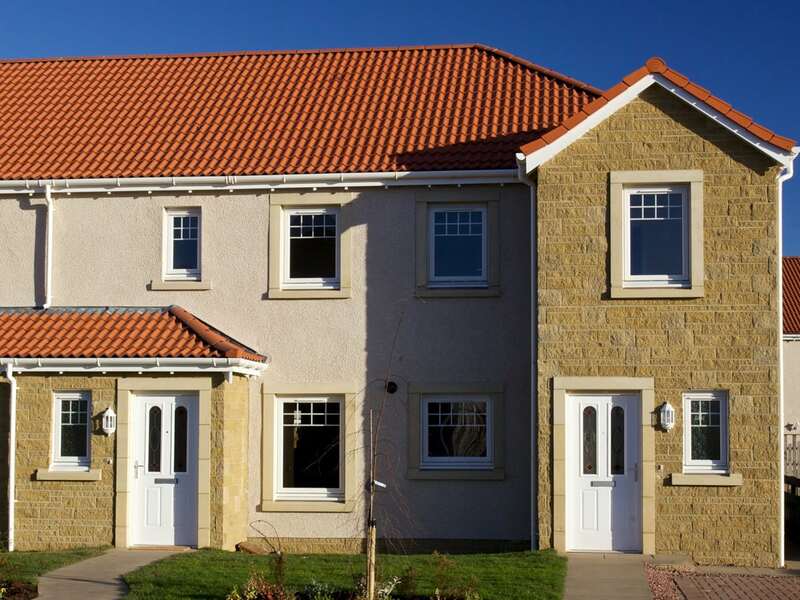 The Lewis house style is a three-bedroom terraced home in Leven which offers flexible living space which you can tailor to suit your own taste and lifestyle. 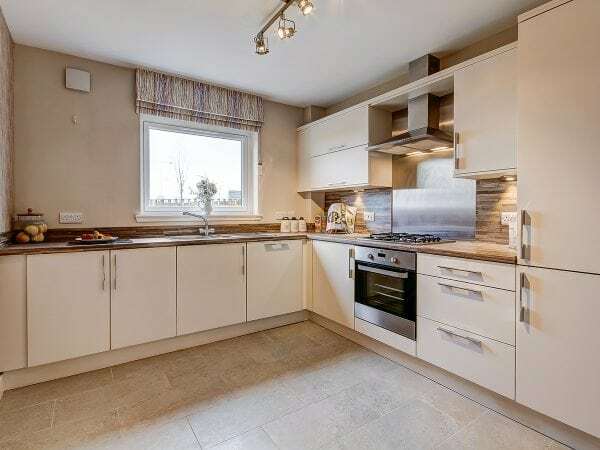 As you enter this home you are welcomed by an attractive entrance hallway which leads you past the convenient WC to the kitchen offering a selection of appliances as well as good worktop space. Also on the ground floor is the open plan living / dining room which could also be utilised as a home study. 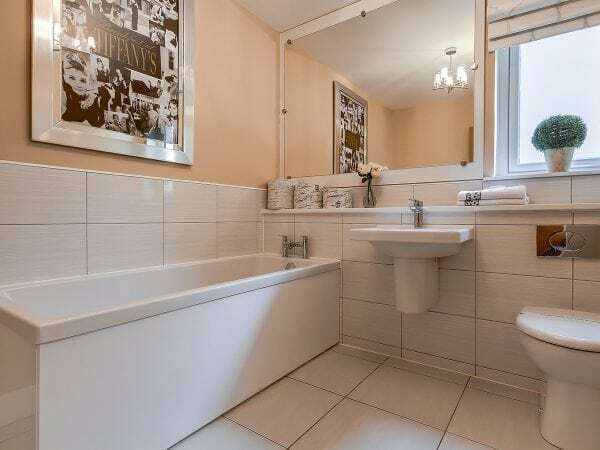 Upstairs, there are three good-sized bedrooms and the contemporary family bathroom offering stylish sanitary ware and quality tiling. Both the master and second bedroom benefit from fitted wardrobes. Care, attention to detail, excellent design and high specification – these are the pre-requisites of every house Muir Homes visualises and builds. Our aim is to create beautiful new homes with an imaginative mix of flair and practicality in design, balanced by quality craftsmanship and the added touches and details that make a house a home. 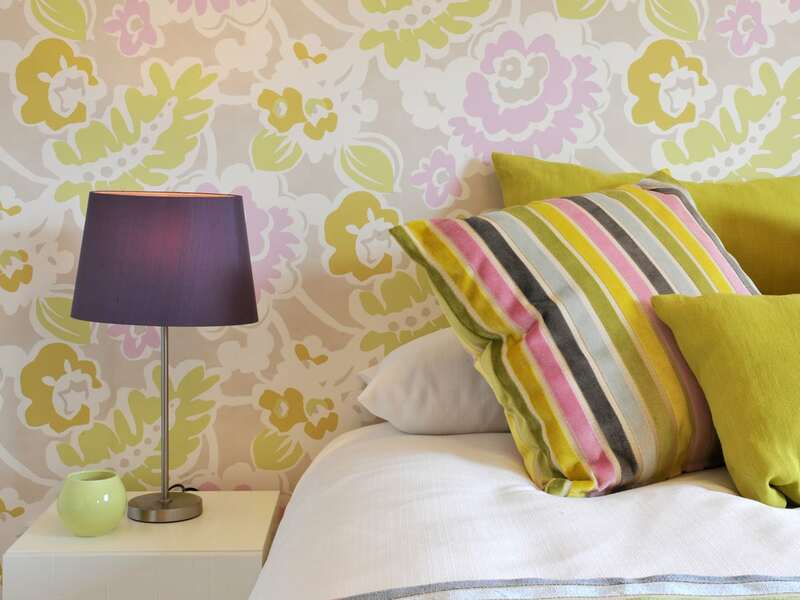 Our homes are spacious with well-planned rooms and accommodation designed to include modern lifestyle features. 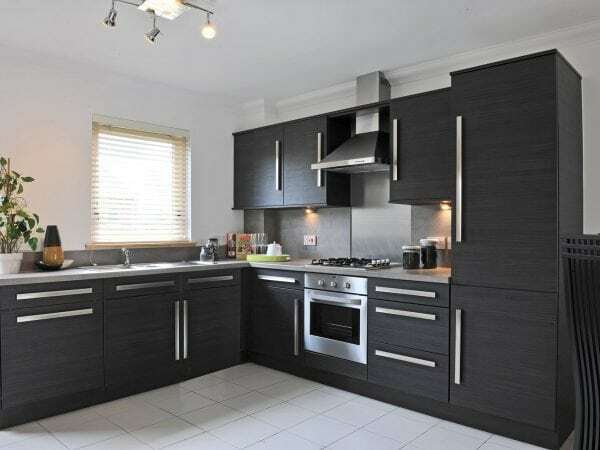 Depending on the build stage, you can personalise your chosen property by selecting from differing kitchen styles, worktops, wall tiles and handles. In some circumstances we can even include unique details to suit your preferences. 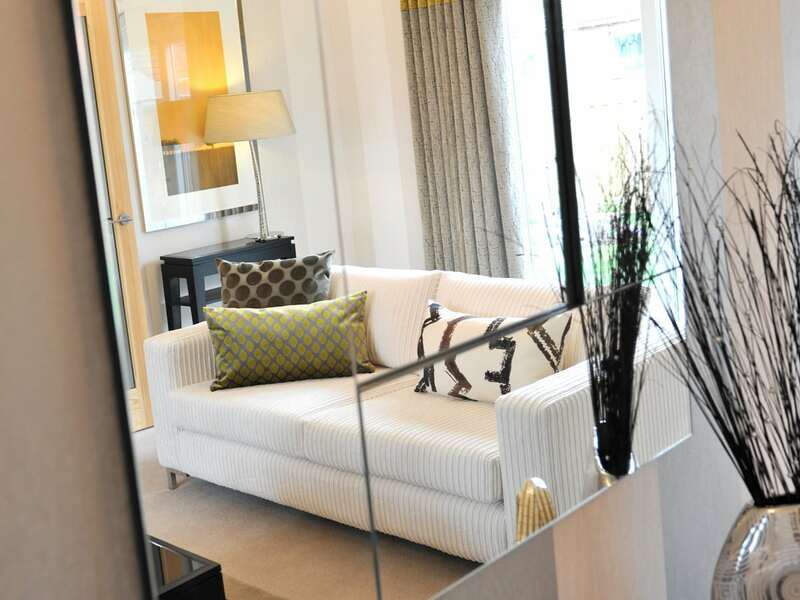 The Sales Advisor on site can discuss the specification available with your chosen home. *Where applicable **Depending on chosen specification, please ask your Sales Advisor for more information. I would like to make an enquiry about your home of the month - Plot 339 at Castlefleurie. To find out more about Castlefleurie Development, fill in your details below and we’ll email you your brochure.